Today Insignary announces that NDS, a subsidiary of Nongshim, has entered a partnership deal to become a nonexclusive sales partner. Insignary provides an Open Source supply chain solution called Clarity to helps companies address compliance issues and security vulnerabilities. NDS entered the market with the provision of Cloud Services in 2015 and plans to strengthen its Open Source solution business for further growth. Insignary is currently running an Early Adopter Program for select customers like LG Electronic and will publicly release the Clarity solution next year. 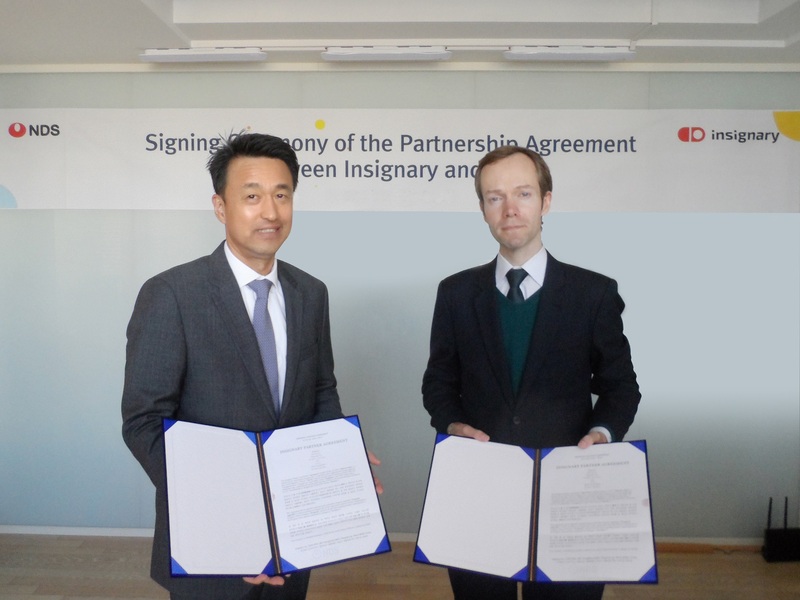 From today NDS has acquired the right to provide Insignary Clarity in Korea and in Japan, where they are newly establishing a new branch office. Shane Coughlan is an expert in communication, security and business development. His professional accomplishments include spearheading the licensing team that elevated Open Invention Network into the largest patent non-aggression community in history, establishing the leading professional network of Open Source legal experts and aligning stakeholders to launch both the first law journal and the first law book dedicated to Open Source. Shane has extensive knowledge of Open Source governance, internal process development, supply chain management and community building. His experience includes engagement with the enterprise, embedded, mobile and automotive industries. He currently serves as Vice President of Global Business Development for Insignary, a company providing insight into Open Source in the global supply chain. For more information about Insignary, our partnership with NDS or our solution for monitoring the supply chain, you can contact us at sales@insignary.com anytime. You can also call us at +82-2-547-7167 during Korean office hours. NDS was established with data processing department that developed and operated information system of Nongshim Group matrix has provided the best IT service based on various project experiences and accumulated technologies and knowhow. It has led informatization in various industrial fields including public works, manufacturing, distribution/logistics and development and operation of information system of Nongshim Group for the last 30 years.